Sometimes Color and Fun are the Same Thing. 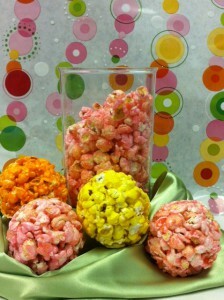 Popcorn balls can be used as accents to really pull in all the colors you want in your display. 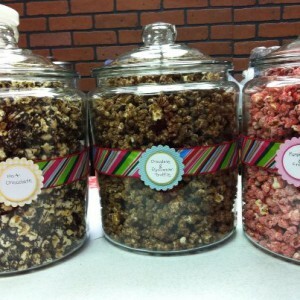 and bonus – you can eat them. Now that is one way to really make it “POP”. 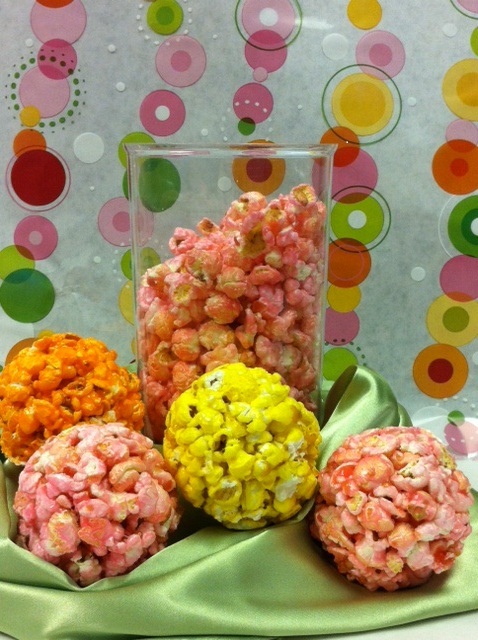 Popcorn Balls Can Always be a Great Addition to Any Popcorn Bar. Welcome to Kernel Encore’s Gourmet Popcorn Bar! 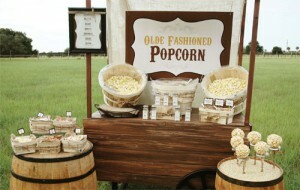 This was an event for Yelp. We provided the popcorn for this Rustic Popcorn Bar. Love this!